Contributors to the Rotary Foundation are recognized as Paul Harris Fellows. 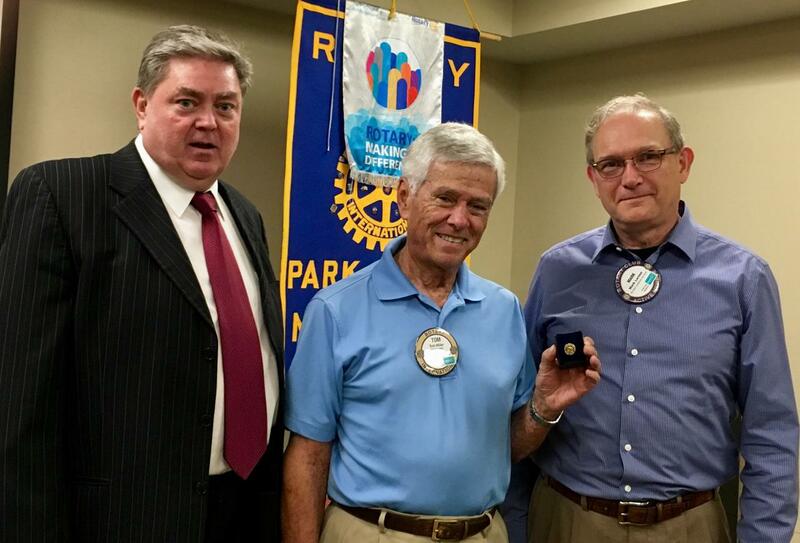 At the Park Rapids Rotary Club meeting May 16, David Collins (left), Foundation chair, presented the latest honor to Tom Miller (center), Plus Three, with Club President Mark Larsen. Donors are honored for their contributions to the Foundation’s mission to enable Rotarians to advance world understanding, goodwill and peace through the improvement of health, support of education and alleviation of poverty.